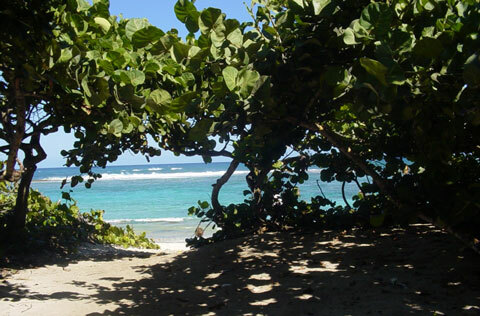 Guadeloupe, one of the larger islands of the Lesser Antilles, is diverse in its landscape. It has white beaches and arid lowlands as well as diving grounds and mountain forests. Bananas, and sugar cane mainly grown for rum, are abundant and are regularly exported from this French archipelago. French is the official language, and the islanders have French passports and French citizenship. France 24. Tuesday, 20 Nov 2018 14:36:06 GMT. Guadeloupe is a unique mix of France and the Caribbean, with French-influenced towns and typical Caribbean fruit and vegetable markets. The island is divided into Grande-Terre to the east and Basse-Terre to the west. On Grande-Terre, Pointe-à-Pitre is the main city with the major airport, while the other main towns of Gosier, St. Anne, and St. François host resorts along the shore. Basse-Terre is characterized by a more mountainous landscape, with the highest peak at the top of La Soufrìere at 4,813 feet. A national park covers about 74,000 acres of Guadeloupe's western half, and the island's capital, Basse-Terre, lies to the southwest. South of Guadeloupe are the small islands of the Les Saintes and Marie-Galante. Tourists regularly visit Guadeloupe from France. There are white, sandy beaches for water sports as well as bistros and restaurants for dining. French Caribbean food includes Creole specialties that combine exotic spices with French cuisine. Fresh seafood is common. There is local rum and imported French wine. Dining is leisurely.